* What is the name of the institution you’re attending? * What is your major and minor? * What year of study are you in? * What field of work do you plan to enter after graduation? * Hours of Study/Instruction (approximately)? * What type of institute? * What do you hope to achieve through your course in Ibri and what are your specific language goals do you wish to accomplish? * Which dialect have you studied? Do you suffer from any medical condition that we should be aware of? What special provisions would you need? Which Arab countries have you visited? Purpose of visit (leisure / business / study etc)? What is the name of the institution you’re attending? What field of work do you plan to enter after graduation? Have you already studied Arabic? Which dialect have you studied? What do you hope to achieve through your course in Ibri and what are your specific language goals do you wish to accomplish? Age Restrictions The minimum age for participation in our courses is 18 years. Payment Payment has to be made in full to the benefit of NMTI’s account prior to the beginning of the course, at the latest 7 days after receiving a note of acceptance by NMTI or 14 days prior to the course start, whichever comes first.The participant bears all ensuing bank fees and transfer costs. After receiving the application and full payment NMTI will issue a registration confirmation which constitutes a legally binding contract. If NMTI does not receive the course fee within the prescribed period the participant’s registration will be cancelled and the spot made available for other students. Changes NMTI reserves the right to make changes to the course timings or contents due to technical or personnel reasons or in case of force majeure. 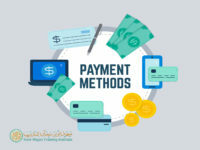 The participant has the possibility to once change the course s/he wishes to participate in free of charge, after that NMTI will charge a one-time administrative fee of 50 OMR for any changes made on request of the participant. Cancellation and Withdrawal Policy It is possible for the participant to withdraw from the program up to 14 days before the course starts and receive his full payment back. Up to 7 days prior to the course the participant who withdraws can only be reimbursed if a replacement for his/her spot in the course can be found. If NMTI is notified of the participant’s wish to withdraw within the last week prior to the course, no reimbursement will be made. These deadlines are counted in calendar days and are effected in the Omani time zone (GMT+4). If cancellation is due to a personal emergency or an emergency within the immediate family, which has to be documented in writing, NMTI will consider reimbursing an amount up the full payment; or the registration can be put on hold and used for a later course. In any case NMTI will have to charge an administrative fee of 50 OMR for any of these changes. Similarly, if a participant has to leave a course earlier due to a personal emergency or an emergency within the immediate family, which has to be documented in writing, the student may receive a partial refund for the portion of the course not yet completed. Otherwise it is not possible to be reimbursed for missed course days if the participant chooses to leave the course before its official termination. Absenteeism If a participant misses the courses more than two times without valid excuse (e.g. illness) in writing NMTI reserves the right to exclude this participant after an official warning without reimbursement of the course fees, neither fully nor partially. Medical costs NMTI is not responsible for any costs ensuing from medical treatment (consultancy fees, hospitalization, medication etc.) or for any fees that the participant needs to pay in order to change their flight due to an illness. Visa arrangements NMTI will arrange for its students’ visas and residence permits where this is necessary (please check visa requirements and regulations under http://www.rop.gov.om/english/dg_passport_visas.asp) assumingthe participant’s full cooperation in providing NMTI with the correct personal data and required documents. All ensuing visa costs will have to be borne by the participant. However NMTI cannot guarantee the success of every visa application as these applications are granted at the discretion of the administration of the Royal Oman Police, (ROP). In case of the refusal of the visaby ROP NMTI will reimburse the full course fees except an administrative fee of 50 OMR. Site rules The student is obliged to follow NMTI’s site rules and dress code. The student commits to follow his/her host home’s house rules and mores and to respect local morals. As a representative of the NMTI community students are also bound to behave in a correct and culturally sensitive manner in the town of Ibri and its surroundings. NMTI is obliged to inform students comprehensively about cultural particularities and to educate them about rules, rituals and mores during orientation. Any ensuing problems or tensions between the student and his/her hosts should be solved with the help of a mediating NMTI staffer. NMTI administration is to be informed immediately in case of misunderstandings, tensions, or problems at the student host homes.